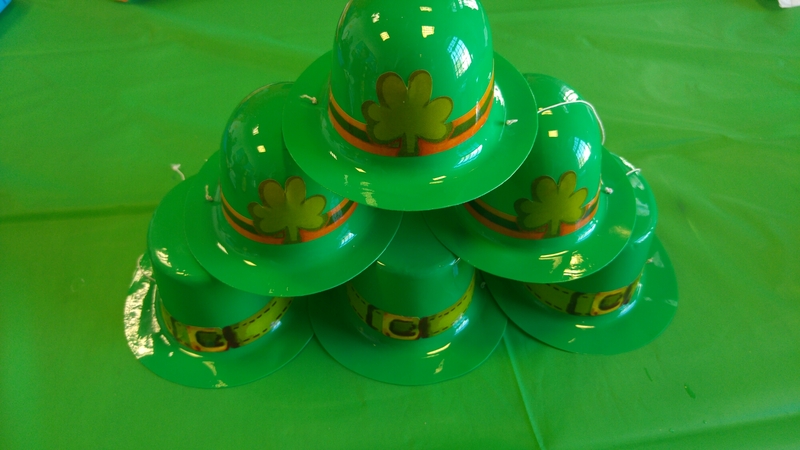 If you’ve been reading this blog for awhile, you’ll probably be aware that I’m Irish. I moved to London from Dublin five and a half years ago, but Dublin will always be the place I consider home. St. Patrick’s Day in Dublin was never a day that a particularly loved. The city would just be lousy with tourists, drunks and drunk tourists. My friends and I would usually avoid the city centre and go to the suburban towns by the sea to go to house parties and neighbourhood pubs – and it was always way more fun. In London, however, while it gets busy and the Irish bars get crazy, it’s not as horrific to be in the city centre as it is in Dublin. Most years, I’ve ended up having a really nice time, and this year was no exception. 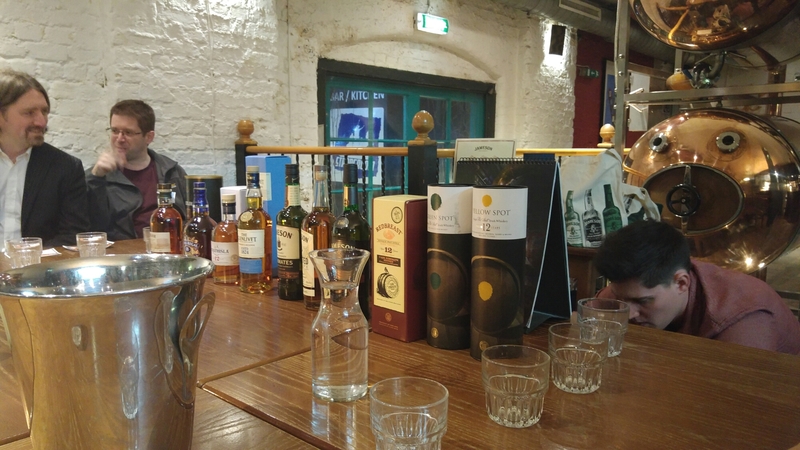 I went to a whiskey tasting in The Strongroom in Shoreditch with the Bulgarian, the night before Paddy’s Day. I’ve never been a massive fan of whiskey, but he loves anything that could double up as nail polish remover, so we got tickets and went along. 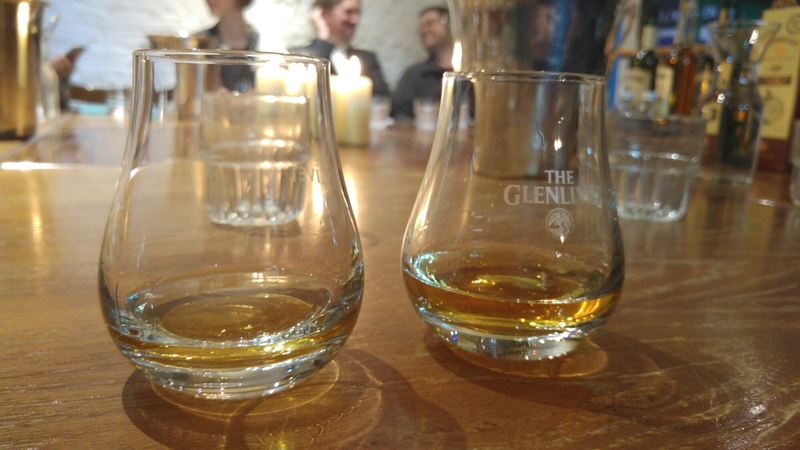 The tasting was given by a rep for Scottish whisky and one for irish whiskey (note the difference in spelling!) Through the night, we tried 8 different whiskeys. The reps were really good and gave us great background information about the origin of each one, their distilling process, and so on. Sadly for me, each sip was a struggle – I’m definitely not a convert! The Scottish rep did let us take home the whiskey glasses, which was a nice way to end the evening. 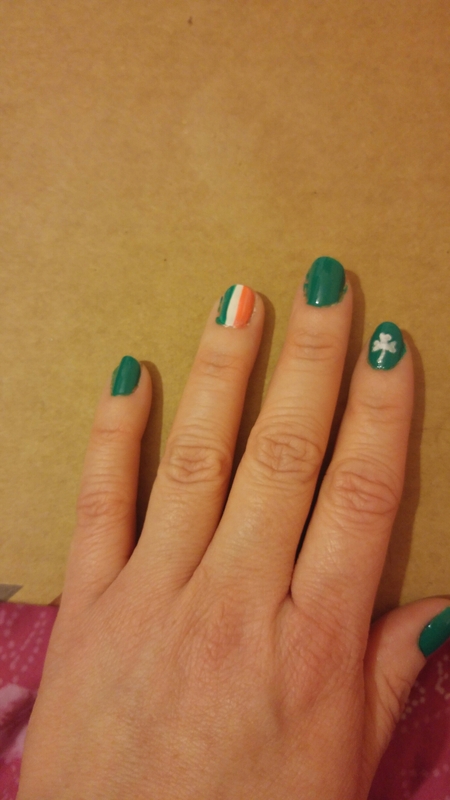 The next day was Paddy’s Day, so before bed that night, I painted my nails for the occasion, while the Bulgarian watched House of Cards next to me. One of my colleagues baked Irish flag cupcakes. Such a sweet thought! My workplace has about 8 Irish people, out of around 70 total staff, so we make up a fairly large chunk. The company made such an effort for us, and it was so sweet. 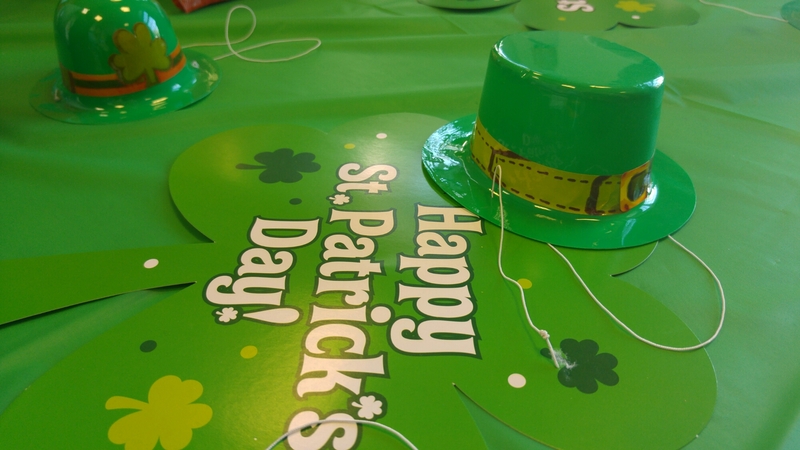 Walking into work on Thursday morning, one of the meeting areas had been covered in balloons, Irish flags, a green table cloth and lots of tiny little leprechaun hats. 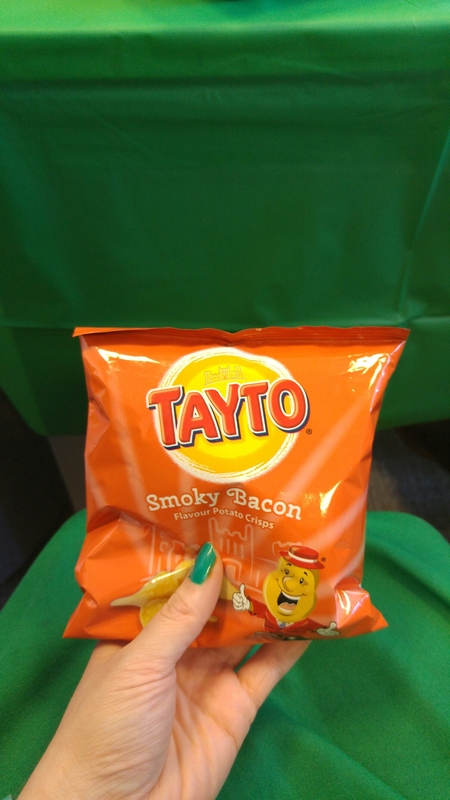 During lunchtime, one of my Irish colleagues ran a short session to teach a few phrases to the others, and give them some fun facts about Ireland, while another guy had brought in some Irish snacks to share. At 5pm, we headed over to Leicester Square, to Waxy O’Connors. I was very optimistic and thought we’d find a table no problem, before everyone else gets off work. How wrong I was! The place was completely rammed. If you’ve never been, the pub kind of reminds me of a rabbit warren – it’s mostly underground, with lots of nooks and crannies and different rooms sprawling all over the place, and every bit of it was packed. We managed to find a nook that we could hover around and leave our belongings in, and luckily for us, a bar opened up right next to us! Luck of the Irish, eh? We spent the evening chatting, drinking pints and listening to the live band. As Paddy’s Days goes, it was definitely one of the good ones. Best tights ever on one of my work friends! If you celebrated, how did you spend yours?